The Canadian Centre of Investigative Journalism will collaborate and publish through partnerships with a range of newspapers and magazines across Canada. This project will strive to fill the gap that has emerged in the Canadian media landscape and introduce a new way of delivering the news that matters from a free and independent press. We are proud to support this investigative project to provide critical information about efforts by government, business and individuals to improve sustainability, resilience and the economy in the face of changes to society, climate and the environment. Click here to read the investigative reports. Haisla Nation Chief Councillor Crystal Smith has been called a "traitor" and faced threats on social media, warned not to go anywhere alone at a recent First Nation sporting event. Colourful pictographs decorate several rocks that curve slightly over the waters of Stuart Lake in central interior British Columbia. The primordial drawings were made by the ancestors of the Dakelh-speaking First Nations and Nak’azdli Whut’en, who live at the southeast end of the lake. The Nak’azdli roots are deep and date back 10,000 years. It is a home they’ve fiercely protected from enemy takeovers in the past. Revered Chief Kw’eh, ‘Dreamer of the salmon,’ was buried at the mouth of the Stuart River in 1840. Eli Enns says the first Indian agent that came to Tla-o-qui-aht territory on the Pacific coast at Vancouver island was a fella named Harry Giliod. Two communities in the Tŝilhqot'in Nation are saying "yes" - yes to clean energy solutions, yes to self-determined economic development and yes to a brighter, more sustainable future for their families and future generations. It was an apology decades in the making. Initially delayed for a day by a storm, Prime Minister Justin Trudeau arrived in Iqaluit, capital of the Arctic Canadian territory of Nunavut, on March 8, to deliver an historic apology to Inuit communities. The apology, on behalf of the Crown, was related to the federal government's mismanagement of tuberculosis in the Arctic from the 1940s to the 1960s. Now, the three nations and the Canada Lands Corporation, who together own the land, and the City of Vancouver, are inviting Vancouverites to create a vision for the area’s future. 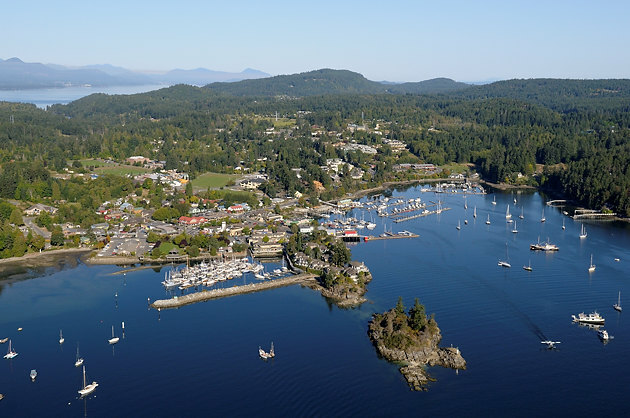 I-SEA is located on Salt Spring Island, in the beautiful Gulf Islands of British Columbia. Salt Spring Island is part of a unique ecosystem that is protected through the 'Trust & Protect' mandate of the Islands's Trust. To learn more about this unique 'green' community, please visit Transition Salt Spring or Salt Spring Tourism.